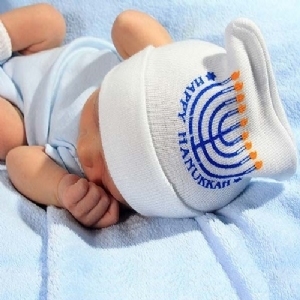 Our precious Happy Hanukkah Two-Ply Hospital Baby Hat makes a wonderful keepsake for the new families in your maternity ward. The Two-Ply material offers babies extra comfort and added heat retention. This specialty holiday cap is beautifully crafted and is a great option for Mother & Baby Kits. 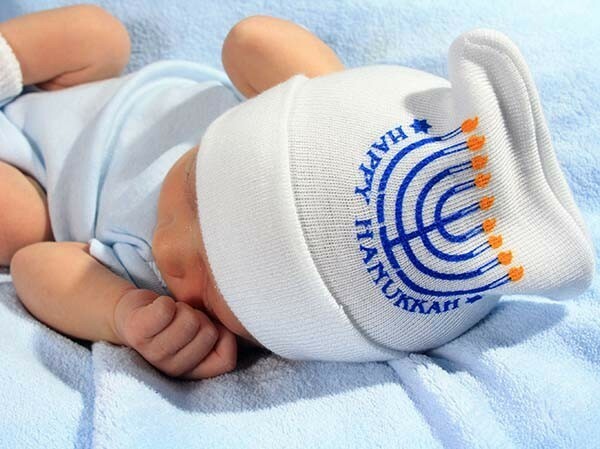 Make sure the babies in your nursery stay warm this holiday season by ordering today.